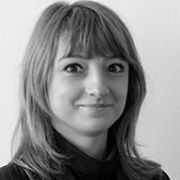 Andreea has been with McCann PR since 2005, working with clients such as Coke & Coca-Cola brands, Heineken and other brands in its portfolio, Brewers of Romania Association, Vodafone and the Discovery Channel, among others. Along with being a Creative and Strategy Director, Andreea was a Project Leader for the re-branding and creation of a new business model, helping the agency’s co-founder reshape McCann PR’s brand story and mission. As a Senior PR consultant in the areas of corporate reputation and consumer marketing, she helps both global and local clients promote and protect their brands. Andreea obtained an undergraduate degree in Journalism from the University of Bucharest and went on to study a Master’s in Marketing Communications at the Complutense University in Madrid. She began her career as an Editor for the Independent daily newspaper and later for B1 National Television and contributed to Bolero and Cosmopolitan magazines before joining McCann PR in early 2005.